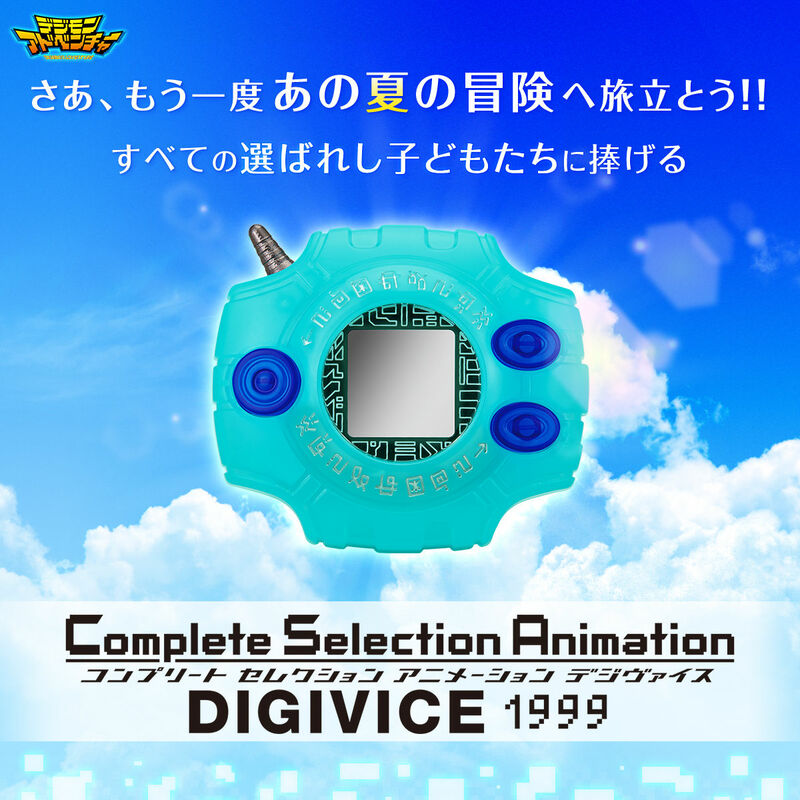 As a celebration of the 20th anniversary of the TV anime "Digimon Adventure" broadcast in 1999, Digi-Vice which appeared in the appearance appeared in the brand "Complete Selection Animation" for adult anime fans. 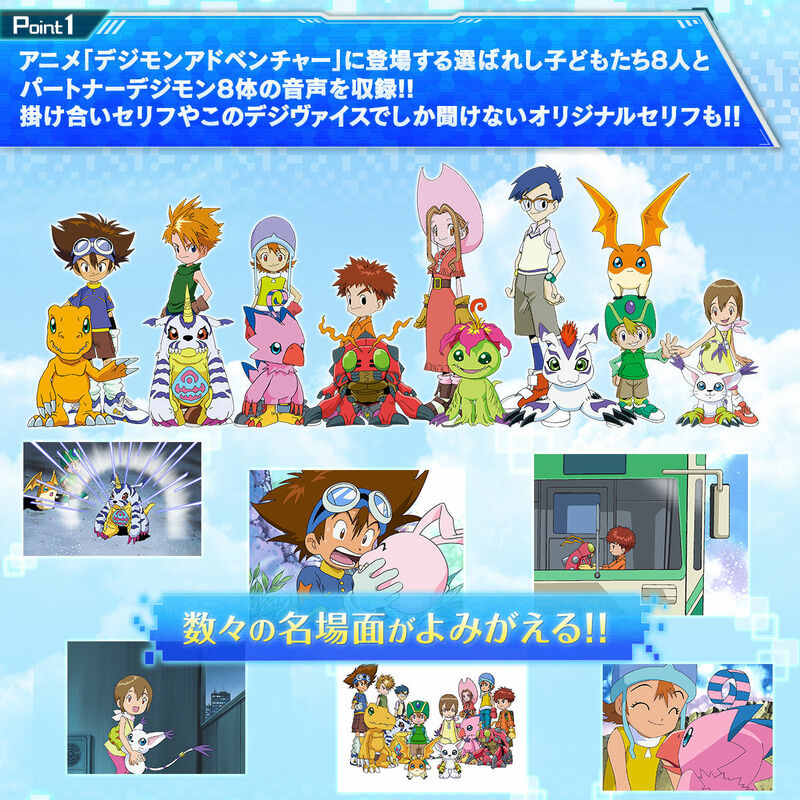 Audio of eight children selected and 8 partner Digimon chosen to appear in the work was recorded. 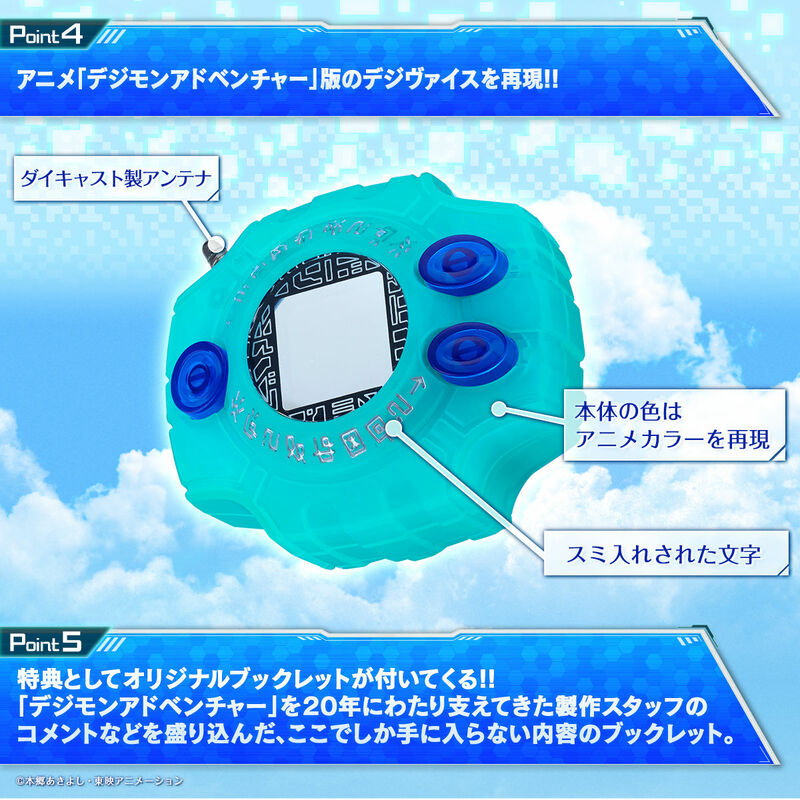 You can also enjoy dialogues between children and Digimon and original lines you can listen only at this Digivice. 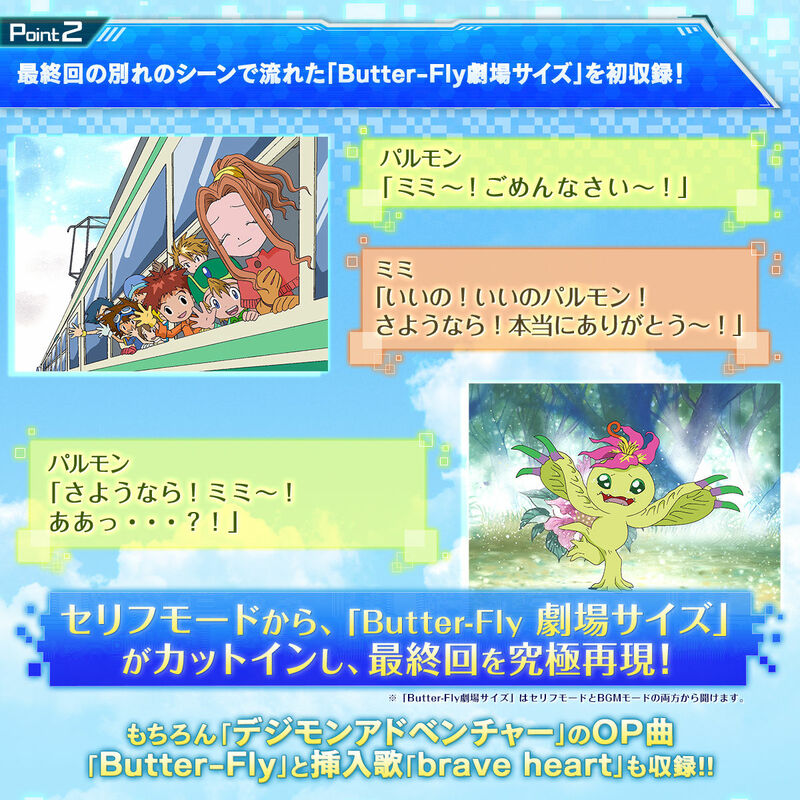 In addition, "Butter-Fly Theater size" flowed in the scene of parting with partner Digimon of the last round of animation is recorded for the first time. It is possible to reproduce emotional name scenes. In addition, an interview made by animation production staff at that time and a special booklet packed with the history of toys are attached. Taichi "How are you !! Ideas!" Yamato "It is in vain to be strengthened !!" Yamato: "Did you suicide ... ?!" Length "Are we done with this ...?" Kotoko: "Is it the end? ..."
Yamato: I will not let it end ...! Taichi "I will end up ...!" All the children "Because there is tomorrow !!!" Mimi "Wow ...! Wow ...! Wow ...! Wow ...! Ha !?" 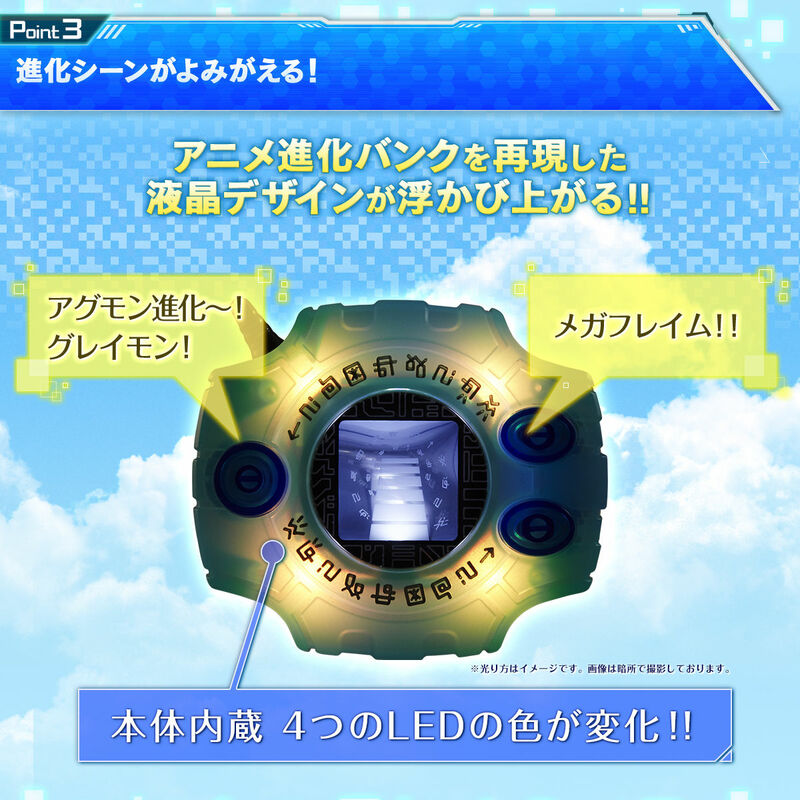 Sky "Mimi-chan !!" Mimi "Yeah !!" Palmon "Mimi ~! Mimi ~ ~ !!" Palmon "Mimi ~ I'm sorry ~"
Mimi "Good! Nice parmone! Goodbye! Thank you so much!" Palmon "Good-bye! Mimi ~! Oh ... ?!"